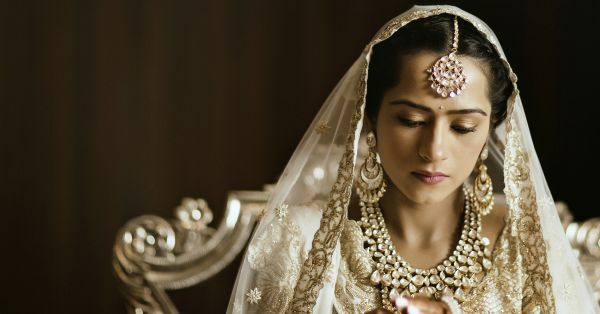 10 Brides Who Wore The Most Beautiful Maangtikas - We LOVE! 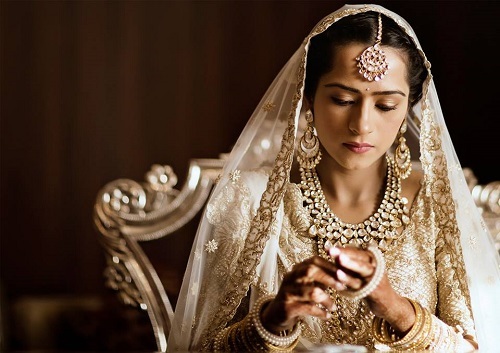 No fashion week or bollywood movie can give you the sort of inspiration that real brides do. And if you’ve been following us regularly, you already know just how fabulous POPxo brides are! From their stunning outfits to the picture perfect makeup and the gorgeous jewellery… We’re left awestruck, each and every time. So, for every girl who is getting married, and everyone else who loves jewels just as much as we do, here’s something to look at. 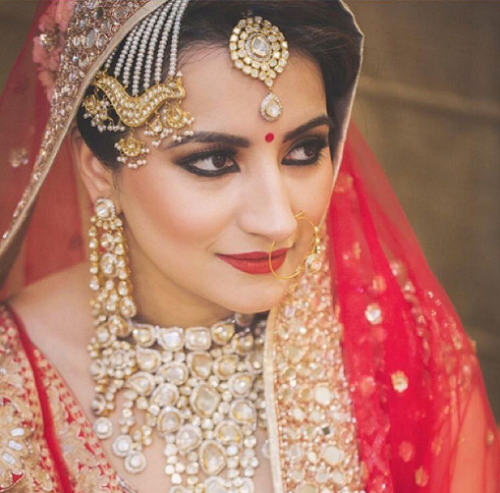 These 10 brides wore the most gorgeous maangtikas and we just can’t get enough! 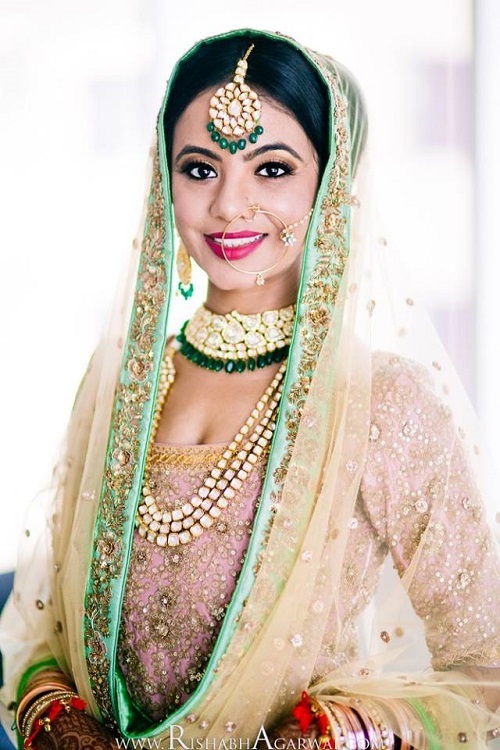 Image: Rish Photography Go big and bold with a statement oversized maangtika. We love the green beads that add just the right amount of colour to the bride's traditional jewellery. 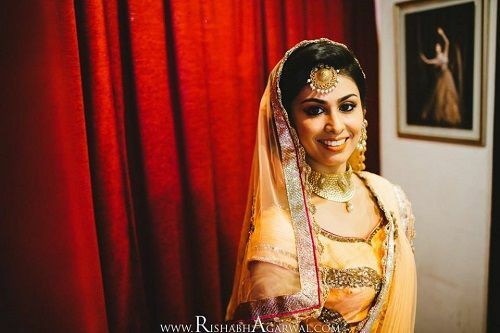 Image: The Photo Diary Fashion blogger Mitali Sagar was a vision in her Sabyasachi cream lehenga. She matched her outfit with a simple yet stylish maangtika encrusted with pretty rubies and pearls. Image: Cupcake Productions We are so in love with this one! An elaborate piece, this maangtika exudes a royal charm like no other. 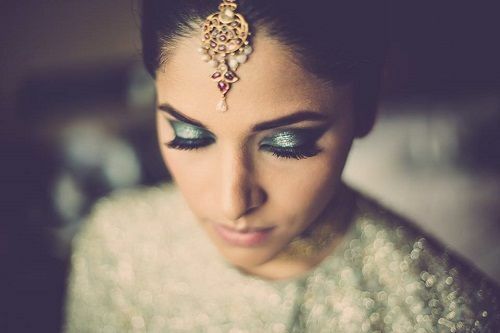 Image: Bhumi & Simran Photography Such a beautiful picture! And such a stunning maangtika! A classic chandbali style piece in kundan, with just a hint of colour. An absolute stunner, we say. 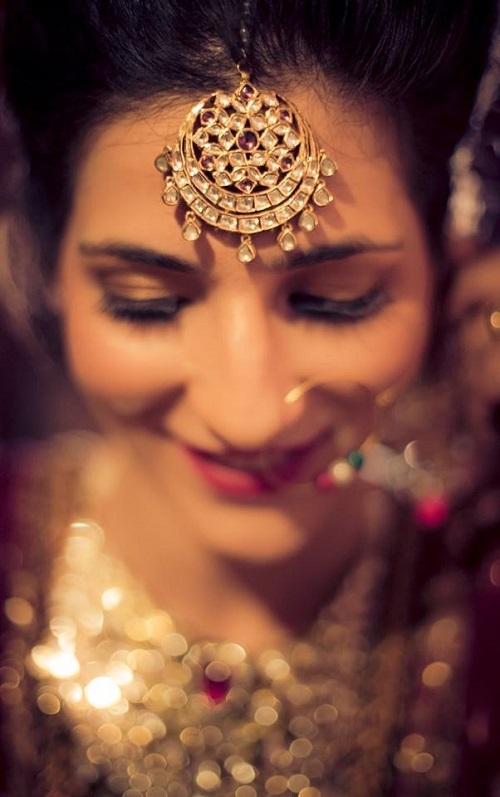 Image: Rish Photography For a regal bride look, pick something in oxidised gold. And we sure do admire the classic round look of this one. So different and so pretty! Image: Morvi Images For a fun and vibrant look, dress up your forehead with a maangtika like this! From its offbeat design to the striking colours, this one screams for attention! 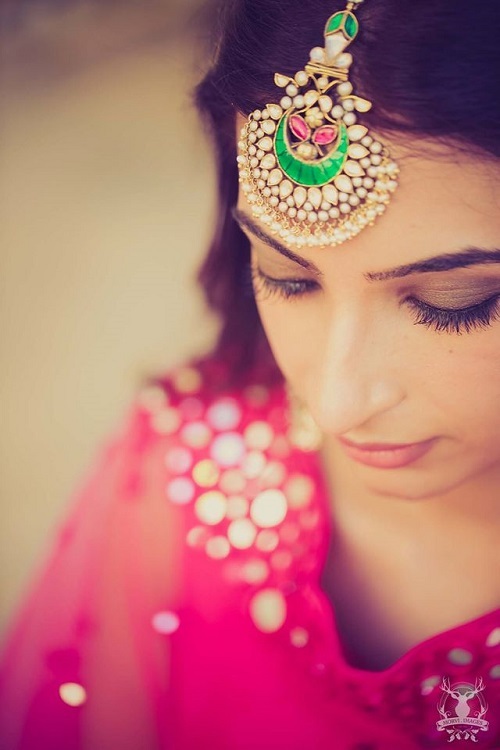 Image: Shared by the bride, Nivetha Temple jewellery never fails to amaze us. And this bride’s maangtika is proof of that. 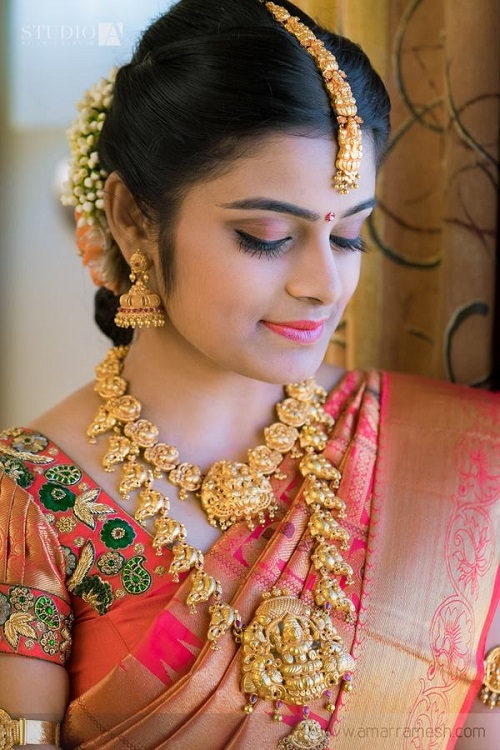 So, if you too love traditional gold jewellery, we’re sure you’ll love this! Image: Cupcake Productions Don’t you want to just keep looking at this picture?! Specially the sparkling polki maangtika - it’s just so gorgeous! And that drop-shaped stone at the bottom gives it the perfect finish, doesn’t it? 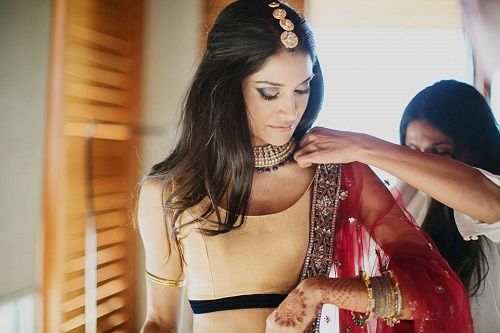 Image: The House of Pixels Designer Kresha Bajaj designed her very own off white wedding lehenga. And she paired it up with equally beautiful jewellery. 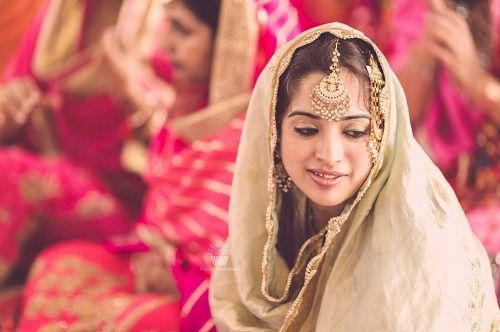 The classic polki maangtika definitely adds a touch of elegance to her bridal look. 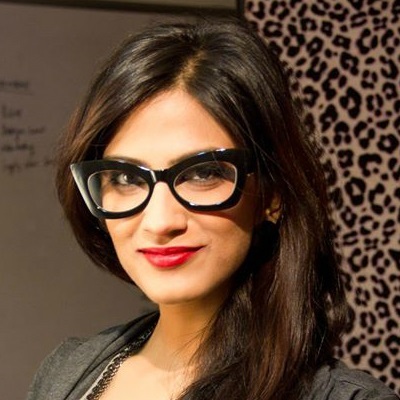 Image: Our Labor of Love Actress Melanie Chandra wowed us with her super stylish and chic jewellery. And this maangtika is a such a welcome change from the typical ones. Ending just at her forehead, she’s kept it minimal and clean. A place where girls can talk about ANYTHING. (No guys allowed!) ? ? Get the POPxo app NOW on Play Store and iOS App Store.